The Making of the Bronze Plates for "The Anatomy Lesson". Last year I had the pleasure of working with Jeff Adams and his inBronze foundry. He helped me invest a wax pattern in a ceramic shell mold, which picked up detail and remained true to the original wax beyond what I am able to to at the University of Wisconsin Foundry. I have brought some waxes to him again to invest, and I'm happy to say the castings once again turned out wonderfully. 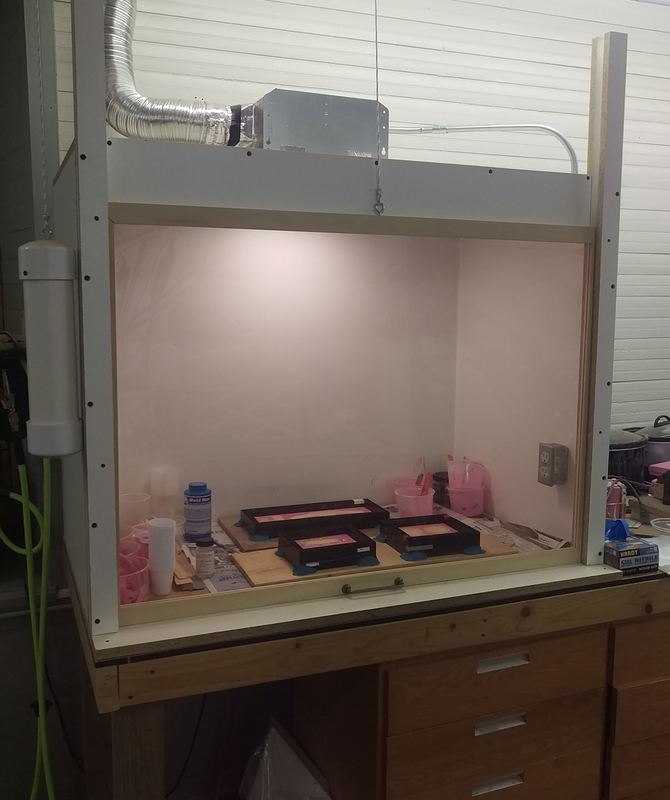 The sculpture patterns for the plates being molded in the fume hood. The silicone mold and rough waxes for the title and name plates. Four sprue trees of waxes with ceramic shell investment by Jeff Adams of inBronze foundry. The wax has been burned out and the molds are ready for bronze. 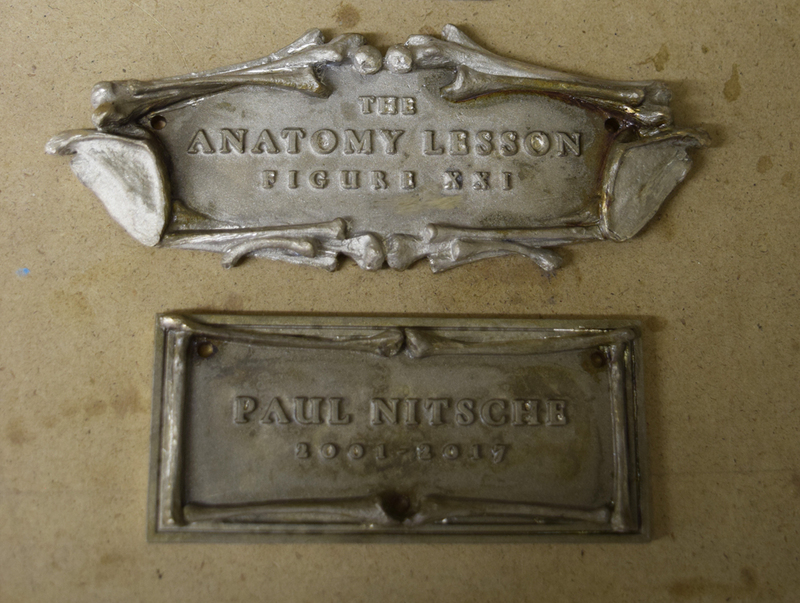 The bronze title and name plate castings after imperfections are ground and smoothed out. The finished bronze title plate with a liver of sulfur patina and clear coat. The finished bronze name plate with a liver of sulfur patina and clear coat.